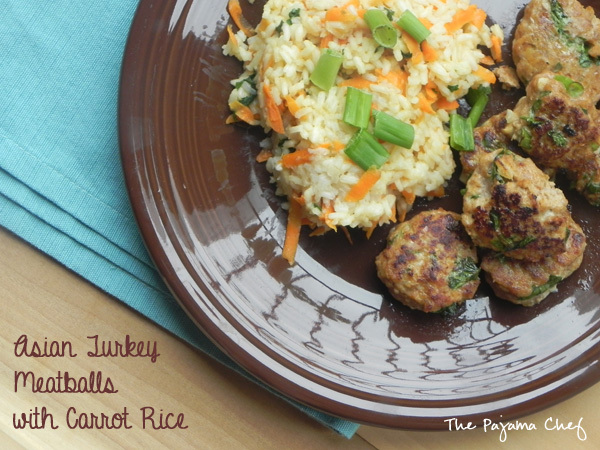 Flavorful Asian turkey meatballs served over carrot rice is an awesome, easy 30 minute weeknight dinner. Kids love it too! One of the best things about this dinner is that it’s SO adaptable. Normally I make the meatballs with ground turkey, but if that’s not your thing, use pork or chicken or a combination. I also love that the rice isn’t boring. I stir carrots and cilantro [or Thai basil] in for some extra flavor and texture. To make this a 30 minute meal, using white rice is key… but if you have more time, brown rice would work too. Sometimes I make the rice with another liquid besides water, like chicken broth or coconut milk, for a lil extra something. But even if you just make the rice plain, it’s still amazing! I love to serve this dinner with steamed broccoli or edamame. It’s the perfect meal to take to a family with a new baby. 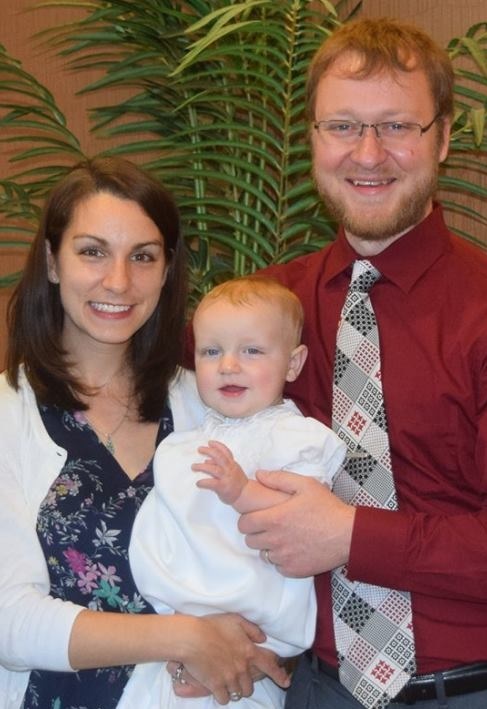 I’ve done that so many times and have gotten rave reviews from everyone, including the kiddos! Just don’t forget the lime wedges. A squeeze of lime over the whole meal is essential! Enjoy! Preheat oven to 450 degrees. In a large saucepan, combine 2 cups water [or coconut milk or chicken broth for extra flavor] and rice. Bring to a boil, stir, then cover and reduce to a simmer. Cook until rice is tender, about 15-20 minutes. Remove from heat and top with carrot and cilantro. Cover and let stand for 5 minutes, then stir to mix all ingredients and fluff with a fork. Meanwhile, in a large bowl, combine breadcrumbs and 2 tablespoons water. Let stand for 5 minutes, then add turkey, white parts of the green onions, cilantro, fish sauce, Sriracha, sugar, garlic, and ginger if using. Gently stir to combine, then shape into 24 small meatballs. In a large skillet, heat oil over medium-high heat. Work in batches to brown meatballs on all sides, then transfer to a large baking dish to cook for 10 more minutes in the oven, or until cooked through. 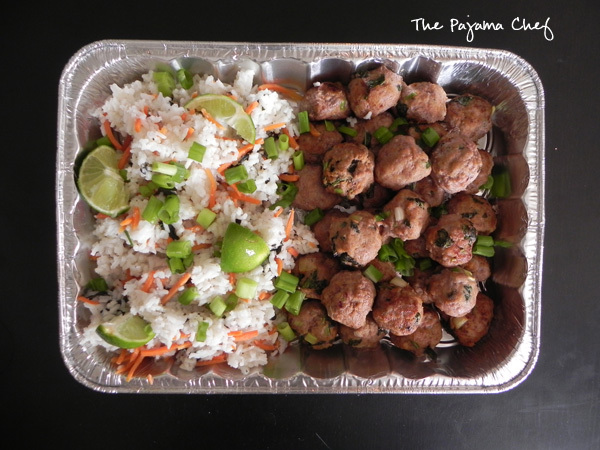 Serve meatballs over rice with green onions and lime wedges. To me, this is a PERFECT meal, love everything about it! 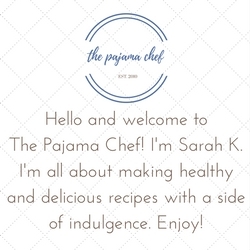 I can understand the lack of blogging due to fast disappearing meal… guilty of the same crime, often with stuff I make all the time and seems too simple to blog. Aren’t those the best meals? Thank you Sarah for the nice recipe. At any rate, I love the idea of fish sauce in the meatballs. I bought a bottle for one recipe that called for two dashes of the stuff, and I never know what to do with it. Now I have an idea. Not to mention, rice is my go to during the week, so this is perfect. hahaha no now! 🙂 thanks! Why have I never made meatballs before??? This ia also just in time for Canadian Thanksgiving. Maybe instead of making an entire turkey I make these meatballs? Sounds good to me! oh wow! i love making meatballs 🙂 hope you like ’em! Wowzer I am liking this recipe. I am a meatball FIEND! great idea taking this as a new baby meal–I do the same ones over and over again and need to change it up! yes, me too! i always used to do potato soup, taco soup, or lasagna. then i learned that everyone made lasagna so i decided to switch up my rotation! 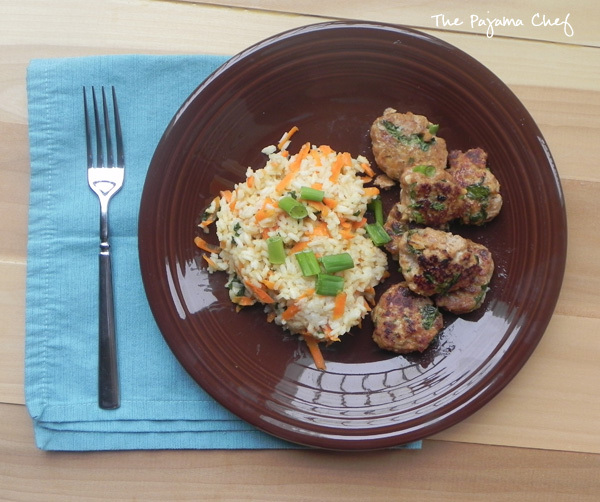 i made these meatballs and rice after seeing these recipes in Martha Stewart’s “Food” magazine a few years ago! Yummy! They are the best!! Thanks for commenting.